As mentioned in the video, Jérôme started working with bees so the fruit trees could bear fruits. Because (and I had forgotten about this) without the free labour of the pollinating insects, 80% of flowers would not be fertilized and would not give fruits. The fascinating documentary « The silence of the bees » by Doug Shultz (2007), showed on National Geographic in 2008, highlighted the difficulties that the bees disappearance causes in a Chinese province where farmers had to pollinate by hand, in order to save their pear harvest. In the region, bees and other pollinating bugs have completely disappeared since the 1980’s due to the uncontrolled use of pesticides. The labour cost is then huge: in the US for instance, about 90 billion dollars is spent on pollination crops per year and that doesn’t even take into consideration other negative impacts causing the bees disappearance. Why are beehive products good for us? As Jérôme says, « the hive reflects its environment », the healthier the bees environment, the more beneficial for the production of the hive, particularly for the protection of the hive itself (against viruses, diseases, the weather and seasons, even other insects such as the Asian hornet). More precisely, Jérôme was telling me how genetically poor and sensitive to diseases bees are and how surprising it is to not have them more often attacked by viruses and bacteria. There is about 60 to 70% of humidity inside a hive with 35°C in constant temperature, which makes this environment very favourable for the development of diseases. Why is it more difficult to be an apiarist today ? 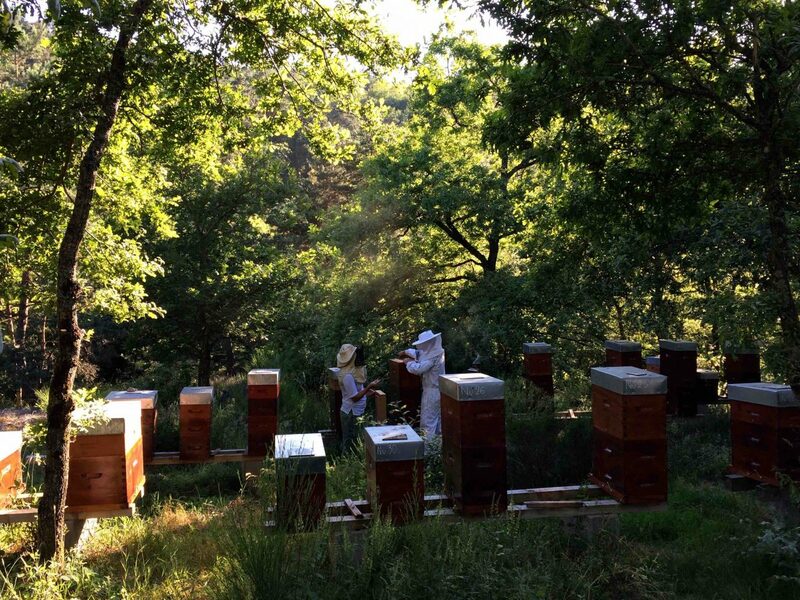 « the apiarist job has evolved since our grand-parents. There used to be much less diseases and of course, there was no pesticide. 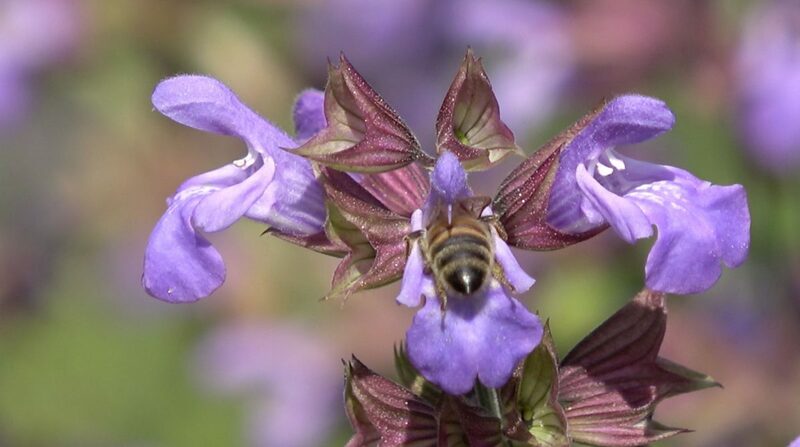 Bees are insects, so as soon as a farmer uses insecticides, he not only kills insect pests but also pollinating bugs. This job has become uncertain, more complicated and more technical », they say. « we measure, by observing comparatively the anatomy of flowers and insects that fertilize them, the adaptive effort they both had to make in order to have a successful union. Between them, the partnership is finer and more elaborated and it has been implemented and improved along millenniums » Jean-Marie PELT, botanist and ecologist, founder of the European Institute of Ecology (Metz). Einstein said « if bees disappeared off the surface of the globe, humanity will only have a few years to live ». Jérôme, is there a beacon of hope in our cohabitation with bees? Jérôme not only has hope, he is just like Pierre Rabhi’s humingbird, building its part of the ladder. To me, Jérôme is a territoy pollinator. Officially, that doesn’t mean anything, but to me it means that he locally pollinates lots of flowers, which start bearing fruits. By being present at the first local farmers market « Les vendredi du terroire » or « locally grown fridays » in Sait-Hilaire-la-Croix, inside the stone made enclosure of Lac Roy; such a great alternative in the development of public large spaces and a community meeting place! 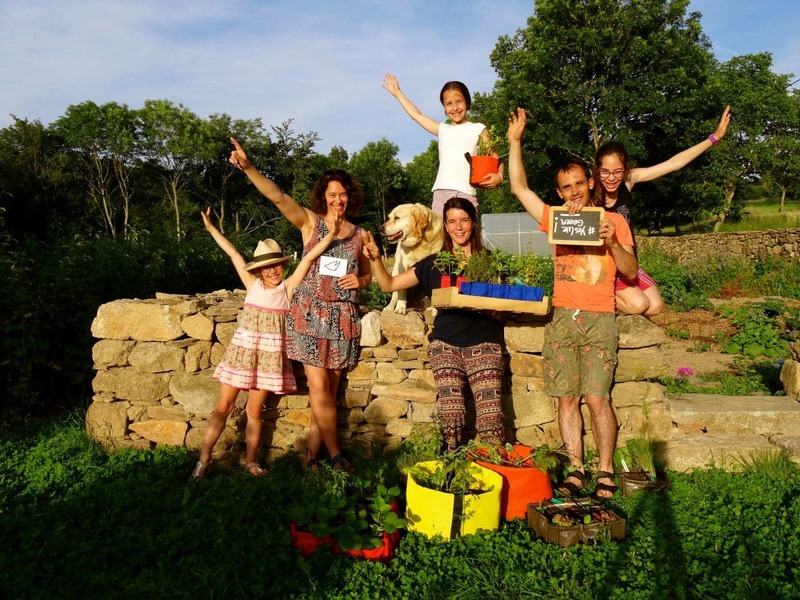 By joining the box « le coffret des agricoolteurs », « the agricooltors box », invented by the awesome dream team from « Dream Act » that created it to support my Tour de France project. By the way, to all of you that are keen the box is still available online! As for me – thanks to all good times with Jérôme, Laurence, their daughters and friends – one thing is for sure: I am an amateur apiarist on the go! There is no chance for my farm project inspired by permaculture to be void of bees and other thousands of beneficial insects. Thanks again for everything and see you all real soon!